Martin Shkreli is fending off criminal charges that could send him to prison for a very long time. And his E*Trade account has plummeted by $41 million. During a court hearing on Wednesday, a federal prosecutor said the $45 million E*Trade (ETFC) account Shkreli used to secure his bail in December is now worth only $4 million. The E*Trade account has fallen to Earth because it holds a great deal of KaloBios Pharmaceuticals (KBIO) stock, Assistant U.S. Attorney Winston Paes said. KaloBios is a small biotech company that develops cancer drugs. Its shares soared 400% in November after Shkreli took it over. But they crashed the day he was arrested. The company is now in bankruptcy and its shares are worth $2. Shkreli held the position of CEO at KaloBios Pharmaceuticals but was fired in December after briefly leading the company. Paes said in court on Wednesday that Shkreli's bail was set at $5 million in December. Benjamin Brafman, who represents Shkreli, said the value of KaloBios' stock was hurt by his client's indictment. 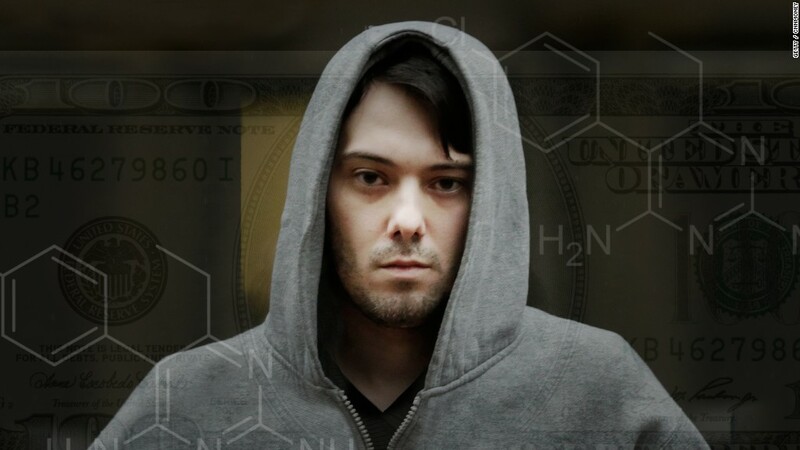 He said he and Shkreli would discuss ways to supplement the bond if necessary. Shkreli faces securities fraud charges involving Retrophin (RTRX), a company he ran several years ago. Last September, Shkreli made headlines when, as the CEO of yet another biotech company, he jacked up the price of a drug used to treat AIDS patients by more than 5,000%. Brafman was hired by Shkreli recently to replace his previous attorneys. After the hearing, Brafman told the press that he accepted Shkreli's case on the condition he no longer talk to the media. Shkreli has been livestreaming his life on YouTube since last fall. He last uploaded a 10-hour-long video on Tuesday, though it has no running narration.